AISI440C Stainless Steel bearings are heat treated to a hardness usually from Rockwell C 58 to Rockwell C 61+. All RMB German Product is manufactured to a minimum of Rockwell C 61. The maximum recommended operating temperature is 177o Celsius (350o farenheit). SAE52100 chrome steel Bearings are usually slightly harder than AISI440C bearings. RMB heat treats their SAE52100 chrome steel bearings to Rockwell C 61-64. 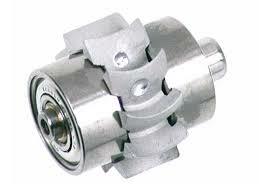 The maximum recommended operating temperature of chrome steel bearings is 120o Celsius (248o farenheit). Operating temperatures higher than those shown above will need special treatment. Please consult SPB. 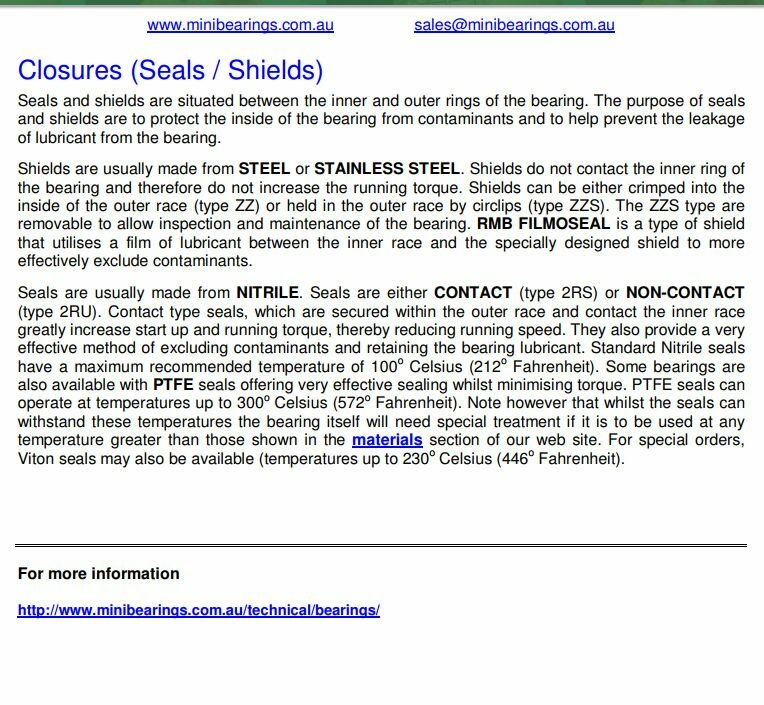 See our sections on seals and shields and cages for information about the materials used in these parts. Bearings for very corrosive environments are made from 316 stainless steel or acetal, but it must be noted that tolerances for these bearings are not as precise as for AISI440C or SAE52100. The available range of these types is limited. 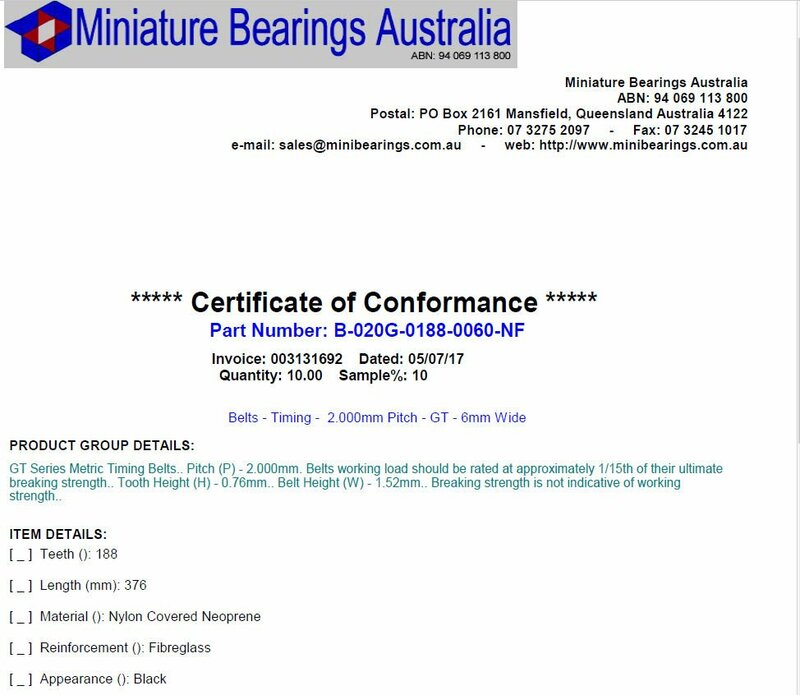 The materials listed below cover some of the standard materials used in the Miniature Bearings Australia product range. Not all materials are available for bearings. 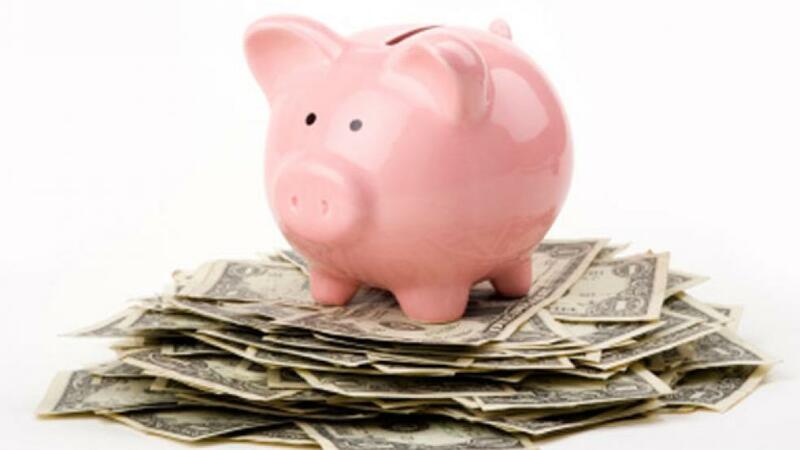 When you click into each material you will see a list of standard MBA Products to which that particular material relates. Acetal TM is a registered trademark of DuPont. Kevlar TM is a registered trademark of DuPont. Teflon TM is a registered trademark of DuPont. Torlon TM is a registered trademark of BP Amoco. 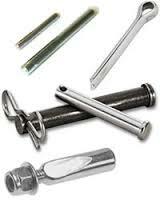 You can find many types of materials in the Miniature Bearings Australia Online Catalogue pages.